A high chair provides a safe and secure place for your baby to experiment with new textures and tastes. Unfortunately, not all high chairs are created equal. The perfect high chair for your baby will depend on many factors like space, your budget, and your lifestyle. 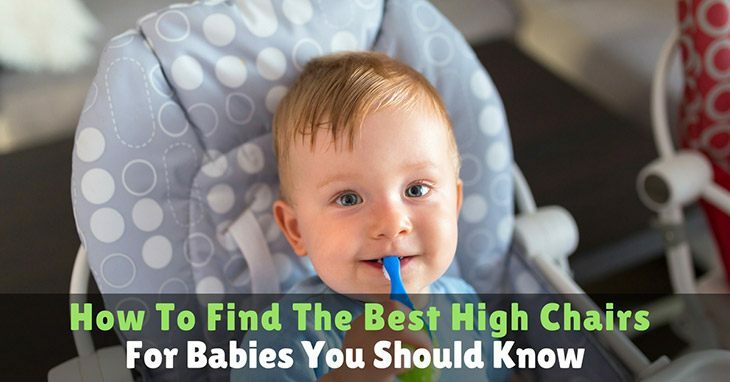 As a result, the right high chair for one baby may not be the right one for your baby. For many, a high chair is simply a small chair constructed with long legs and fitted with a tray. However, it can be surprising to learn that there are actually different kinds of high chairs available. A traditional high chair is made from plastic, metal or wood. This type of chair is more than a raised chair for the baby to sit in. Unlike modern high chairs, the traditional high chair does not come with any bells or whistles. This type of chair cannot be folded up for easier storage. This type of chair lacks some features that you can see in other types of high chair. However, the lack of features may be one of the best points of this chair, as fewer features can mean fewer things can actually go wrong. A modern high chair is a high chair equipped with various features. This type of high chair may look like the traditional one but they are adjustable. This type of high chair is also known as a multifunctional high chair. This can be adjusted accordingly to suit your baby’s comfort. You can adjust the height and recline of the chair in a modern high chair. Moreover, you can also adjust the height of the tray and the height of the footrest. In addition to being versatile, this type of high chair can also be folded for easier storage. In addition to the versatility, modern high chairs also fold neatly down for storage. The downside of this type of chair, however, is that this may be difficult to assemble. The space save high chair is also known as the booster chair. With this type of chair, you are able to create a high chair using an old chair. You simply need to place the booster chair on top of a regular chair and make sure that it is secure. Since this chair is small, it is perfect for those families who live in apartments, as it can save precious room space. This chair is also rather easy to store away. In one way or another, your baby will eventually outgrow this phase. Once this happens, the high chair will not be used. However, if you purchase the convertible high chair, this might not be the case. This type of high chair can be used until your baby reaches three years old. Depending on the brand or model, a convertible high chair can be converted into a booster seat, toddler-friendly activity chair, or a child sized chair with an activity table. This type of high chair requires a lot of room for use and storage. When you purchase this type of chair, it is like purchasing multiple pieces of furniture in one. This type of high chair is essentially a camping chair that is designed for a baby. This is great for outdoor use. This is made from heavy duty canvas placed over a metal frame. This type of chair does not require assembly and it can easily be folded into a narrow cylinder. 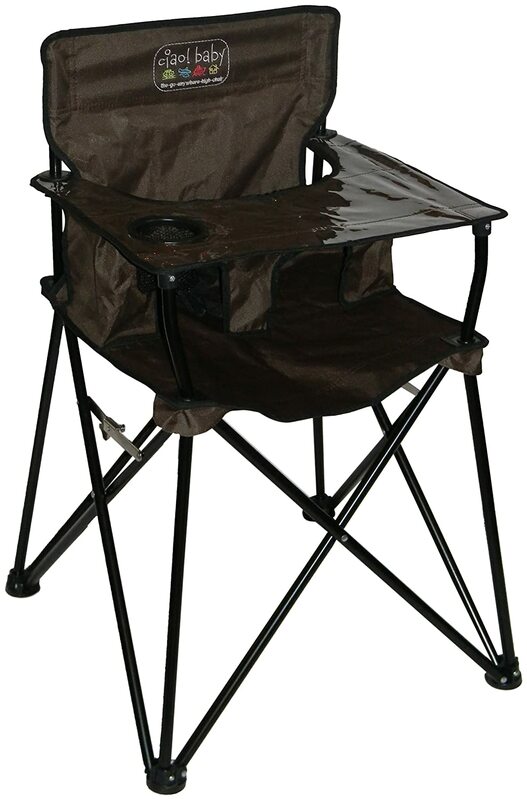 This chair has a wider base which makes this chair sturdy, even if you place the chair on the uneven ground. Another great thing about this chair is that the canvas is water resistant. While the travel high chair is designed to be portable, it is still bulky. A portable high chair is designed to be as portable, lightweight and easy to store. If you are traveling a lot, this might be the right high chair for your baby. 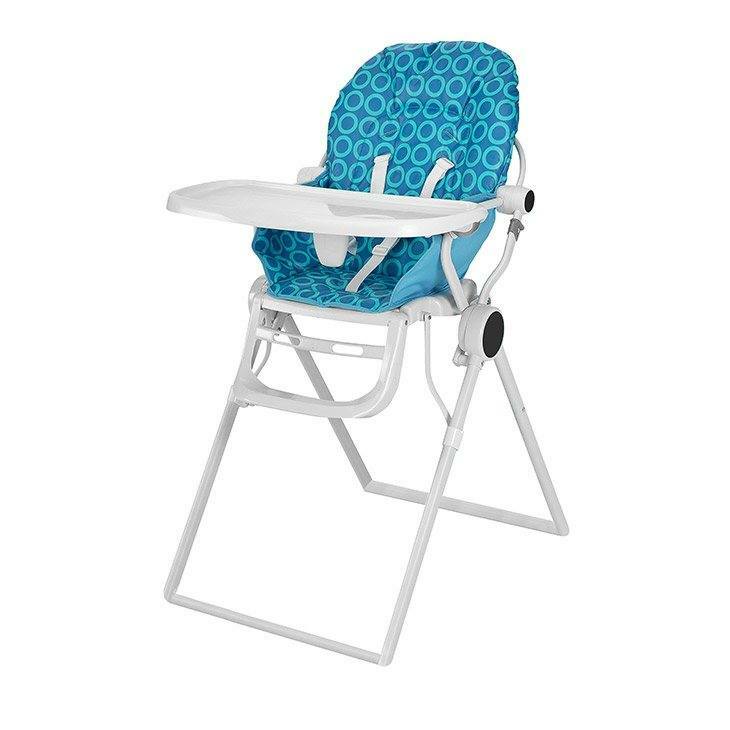 This type of high chair is very compact that you can fold this up and store in a diaper bag. Aside from deciding on the type of high chair that you and your baby need, there are other features that you need to consider. Easy to Assemble and Use. The best high chairs for your baby would be the high chair that is easy to assemble and use. Safety Features. You should also look for safety features in a high chair and make sure that it comes with a three-point or five-point harness. Comfort Features. Since your child will seat on the high hair for extended periods of time, you should make sure that the chair is roomy and comfortable. You have to make sure that the chair is well padded and that it comes with a footrest. Easy Maintenance. Since most babies are messy eaters, this means that you need to consider the maintenance of the chair. You have to make sure that the highchair is easy to clean. Other Features. Newer high chair models have more advanced features. If you are looking for something that is more advanced, ​you might want to look into this aspect of the high chair. This unique seating system grows with your child. This high chair comes with four distinct modes of use. This chair can easily be adjusted to meet your child's seating needs. This high chair definitely stands out from the rest, as it features an innovative design which allows you to seat two children at a time. This is perfect for families with two children. This chair can also be converted into a toddler booster chair or an infant feeding chair booster. 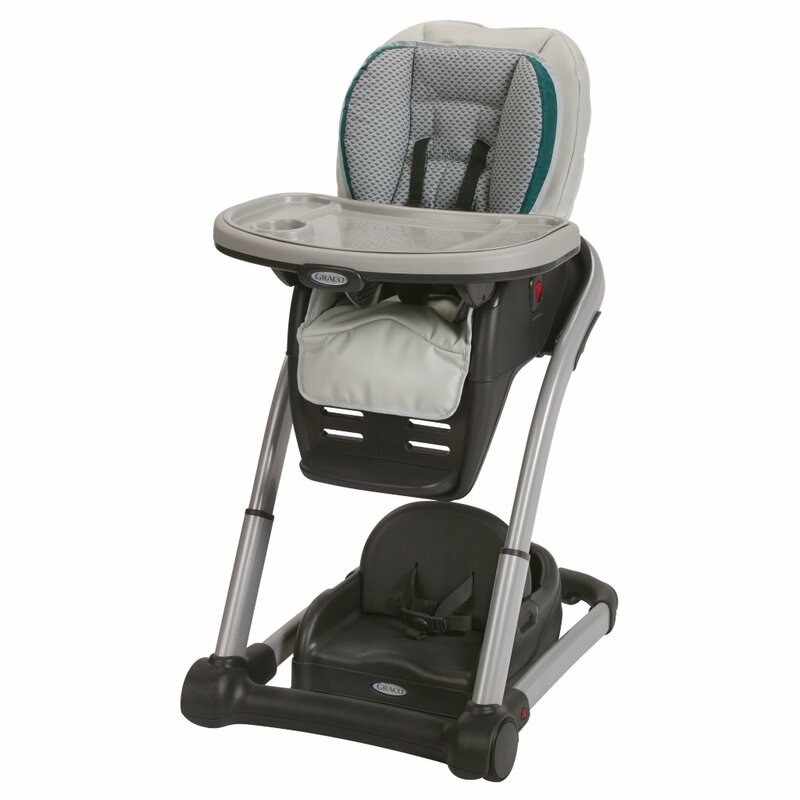 You can also easily adjust this high chair into any of the three recline levels and six height positions. 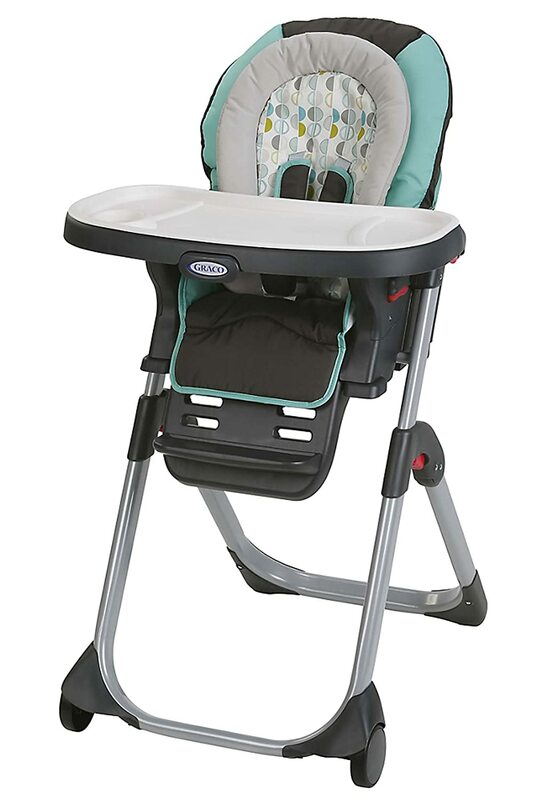 Other features of this high chair include machine washable seat pads that are easy to clean, head and body support for added comfort, one-hand removable tray, three-point and five-point harness, and locking rear casters and front wheels. Easy to maneuver around, as it comes with front wheels and rear casters that can be locked. Stable as this comes with a narrow wheel base. Designed with a roomy and big tray that can be operated with one hand. Convertible to fit even when your child reaches toddler stage. The tray leaves a gap for messy droppings but this may be corrected with the use of a bib. This high chair is perfect for use from infant stage to toddler stage. In fact, this can be the only high chair that your child will ever need. 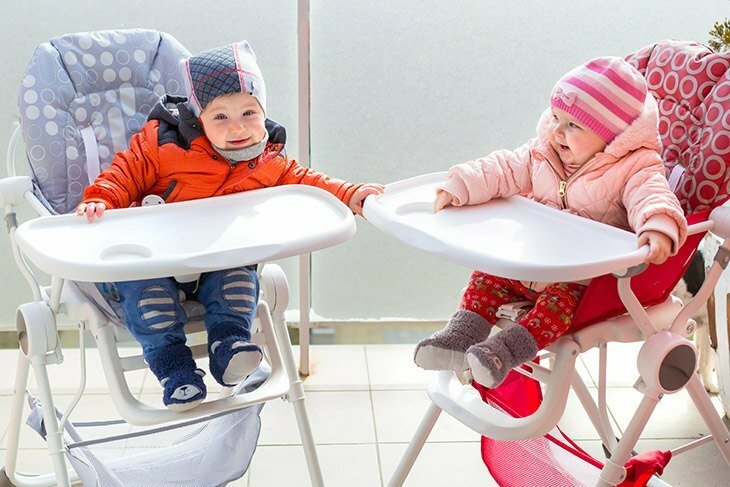 The Trio 3-in-1 high chair is designed uniquely that makes it three chairs in one. You can assemble this as one full-size high chair, a booster chair or a toddler seat. This high chair is easy to clean. This comes with a machine washable seat pads. When you place this high chair in booster chair or toddler seat mode, this high chair can accommodate two children at once. You can also easily convert the chair to booster or toddler seat mode. The tray of this chair is dishwasher safe. The tray as well as the insert can be placed in the dishwasher. You can place this chair in a comfortable recline position to suit your baby's preferences and needs. You can also adjust the chair into four locking positions. The recline options for this high chair is great, as this allows the child to sit properly. This comes with wheels that you can easily maneuver and move around your kitchen. Easy to clean. This comes with a machine washable seat pads. This highchair can be converted into a booster seat or a toddler, which is great as your child grows in size. The height of the chair is not very adjustable, but you can still convert the chair into a booster seat that you can place in your dining room chairs. The straps are not very secure as it is only the edge of the straps that keep them secure. The seat padding of this chair is not very padded, which may affect the comfort of your child. This portable travel high chair is the ideal high chair for active families with small children who are always on the road. This high chair is basically a freestanding chair for your child. This is portable and can easily be converted into a carrying bag. This is lightweight and weighs about 8 pounds only . You can easily convert this into something small that can fit a carry bag. When in set in chair mode, this comes with a lock that keeps it from folding. You are guaranteed that your child will be safe and secure while sitting on the chair. For added security, this high chair comes with a T-shaped lap belt that holds the child while sitting. If you go camping or attend any outdoor activity, this is the perfect high chair for your child. Very easy to set up and comes with a leg support that locks easily. Easy to clean tray with a cup holder. Comes with safety features like the T-shaped lap belt. Collapsible which can be fitted in the trunk of the car. The tray slopes down slightly. The leg holes are a little small and might cause difficulty in removing the baby from the chair. This high chair truly grows with your child, as it comes in three distinct stages. From infancy to toddler stage, you will always have a safe as well as comfortable seating system for your child. This high chair offers security at its finest, as it offers a convertible three-point and five-point harness. The makers of this high chair understand your needs as a parent, as this chair features a removable one-hand tray. This makes it easier for you to remove and clean up the tray every after a meal. This high chair also features an easy-to-use folding mechanism, making this chair easy to fold and store. You simply need to squeeze the handle on either side of the seat to activate the mechanism. 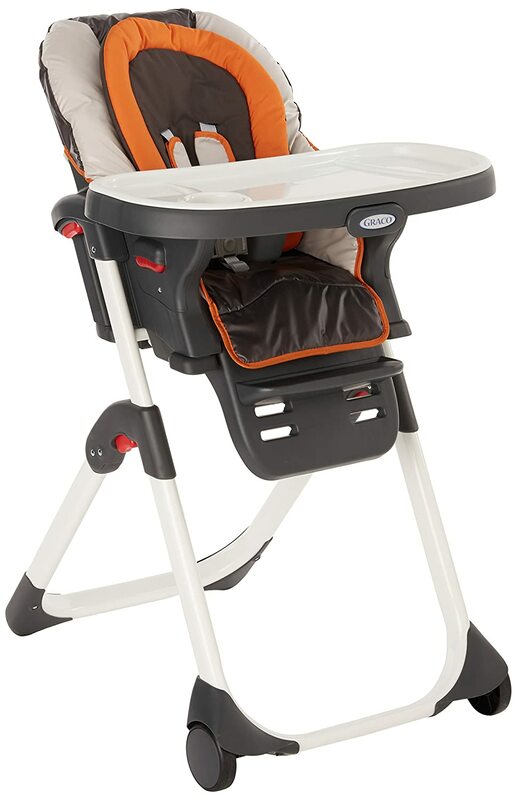 You can convert this high chair from an infant high chair to an adjustable feeding chair or a portable booster seat. When used as an infant high chair, it reclines to adjust to your baby's needs. When used as an adjustable feeding chair, the height of this chair can be adjusted in five different levels. You can always find the right height for you and your baby's comfort. The foot and leg rest can also be adjusted. When used as a booster seat, you can place the chair on any flat surface like your dining chairs. Easily adjusted to suit you and your baby's needs and preferences. The tray is also sturdy and easy to clean. Folded and stored out of site. The straps may be solid and well built. However, they are not easy to clean. This high chair can easily transition from infant use to toddler use. This is a convenient and durable chair that is designed with great features. This high chair features three unique seating positions and grows with your baby to suit his or her needs. In stage one, this high can be securely stacked into a full-sized high chair with the perfect height intended for interactive feeding with your child. In the second stage, you can convert the chair into a 'My Time Chair.' This chair can be placed directly on the floor to allow your child to place his or her feet firmly on the ground. Lastly, this high chair can be converted into a table and chair. The last option allows your baby to feed more independently. 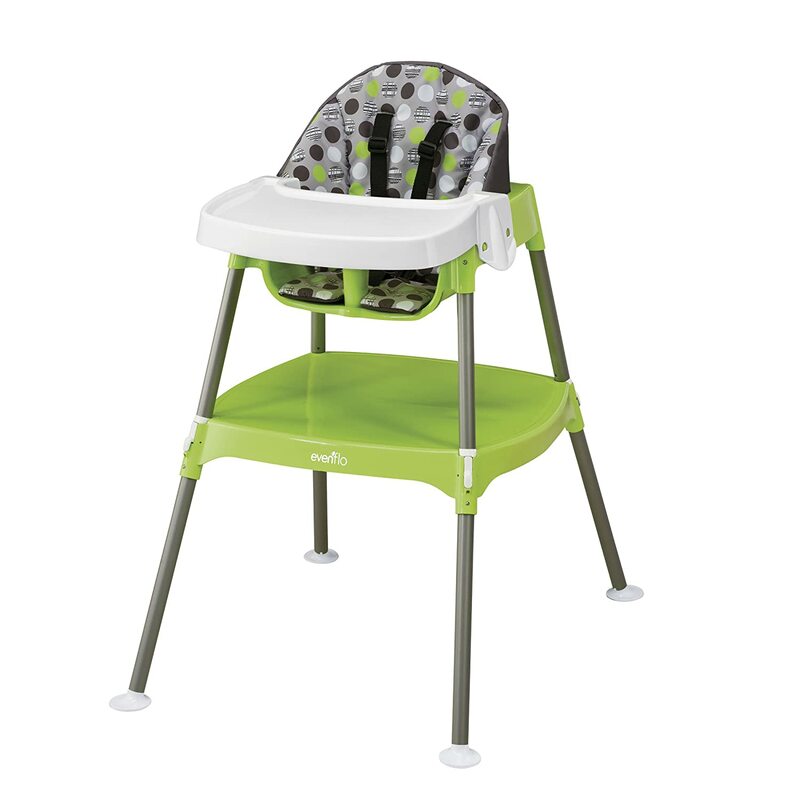 In addition to all these great features, this high chair comes in kid-friendly and colorful hues. Easily snaps together and be converted to your preferred stage. This is lightweight, portable and can be carried with one hand. Can easily be wiped clean. Unlike other high chairs, the tray of this chair will not fit the dishwasher. A high chair is definitely one of the important gears for your child. It is important to invest in a high-quality chair that your child can use from infancy and as he or she reaches toddler stage. 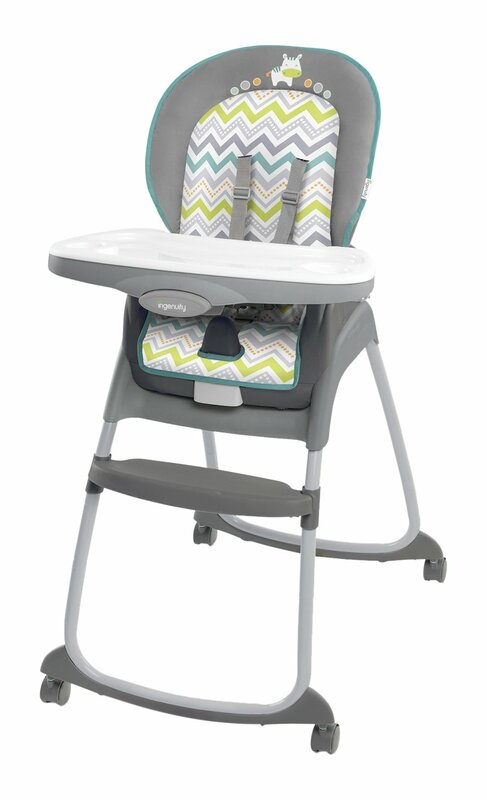 The clear winner of this roundup is the Graco Blossom 4-in-1 Convertible High Chair and Seating System. This high chair does not only offer durability but also functionality. This will not only allow one child but two children to be seated at a time. In addition, you can convert this chair into a booster seat or an infant feeding chair. You can adjust this chair into a position that would suit you and your baby's feeding comfort.